Disclosure: I participated in an Influencer Activation on behalf of Millennial Central for Budweiser. I received a product samples to facilitate my review and a promotional item to thank me for participating. The Vanilla Bourbon Cask was dreamed up by Brewmaster Dan Westmoreland from Williamsburg, VA. It was his goal to create a beer to define a lager beer that had the same color of premium Bourbon, The taste of aged Bourbon, and a hint of Vanilla and Oak. The creation: Vanilla Bourbon Cask. The creation of Brewmaster Scott Ungermann from Fairfield, CA. (my next door neighbor!) This creation was all about the hops. A blend of Palisades and Cascade Hops from the Pacific Northwest. Tasting Notes: Has a very distinct flavor, and you can really taste the hops in this beer. A great blend of flavors. This creation comes out of Columbus, Ohio. The works of Brewmaster Jennifer Eckstein. The flavors come out of beechwood chips. A sweetness is created with the beer from the Chocolate and Caramel malts. A nice creation, indeed. Tasting Notes: This was, by far, the favorite of the variety pack. A pack of flavor with a darker forming color beer. Goes down easy. 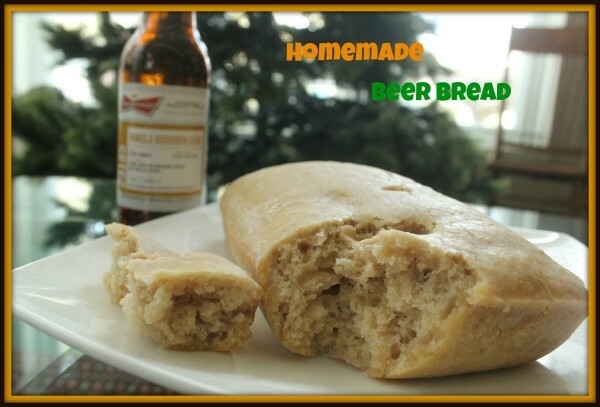 One of my favorite “Beer” Creations is Homemade Beer Bread. And DID you guys know how easy it is to create? Seriously, just as easy as opening up a bottle of your favorite beer. Preheat Oven to 350 Degrees. In a mixing bowl, combine 3 Cups Flour and 1/2 Cup Sugar. Pour in bottle of beer, and mix together. Pour into a bread pan then bake in the oven at 350 for 20 to 25 minutes. 5 Minutes before it’s done, take out bread, melt butter on top, and cook for additional 5 minutes. Being from the Midwest, Beer Cheese Soup is an ABSOLUTE favorite of mine. 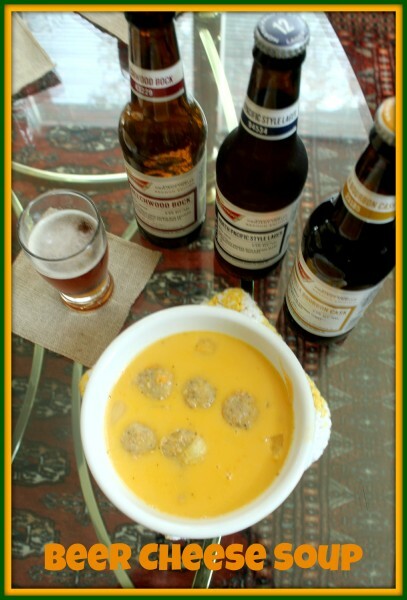 The mix of cheese and beer = perfect. And in this case, it was the perfect pairing to the homemade beer bread. 2 Carrots, sliced up or handful of baby carrots. 2 Cups Shredded Sharp Cheddar Cheese. Cook Beer Bratwurst in Beer. Set aside. Fry up Onions, Celery, and Carrots together in bottom of cooking pot. Add in Beer and Chicken Broth. Mix in Horseradish, Worcestershire Sauce, Mustard and Black Pepper. Cut up Bratwurst and add to soup. Let simmer together. Add in 2 Cups of Shredded Cheddar Cheese. Add a little at a time, stirring constantly. Then add in 1 cup cheddar, continuing stirring. Mix together until begins boiling together. Watch the cheese because it may clump together so constantly stir until it reaches boiling point. Then enjoy while dipping with Beer Bread. Trust me, it’s the perfect combination along with the beer, of course. This has officially become a tradition in our household. Although I enjoyed drinking the beer, I had even more fun cooking with it and enjoying these delicious recipes after. They were a big hit in our household. 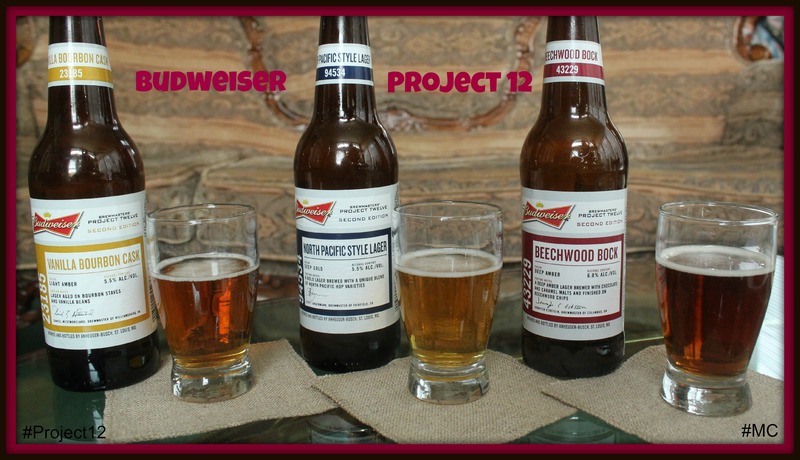 Be sure to add in the Budweiser Project 12 Special Edition Pack during your holiday get-togethers this year. For more information about the Project and the beers visit Budweiser. WOW! 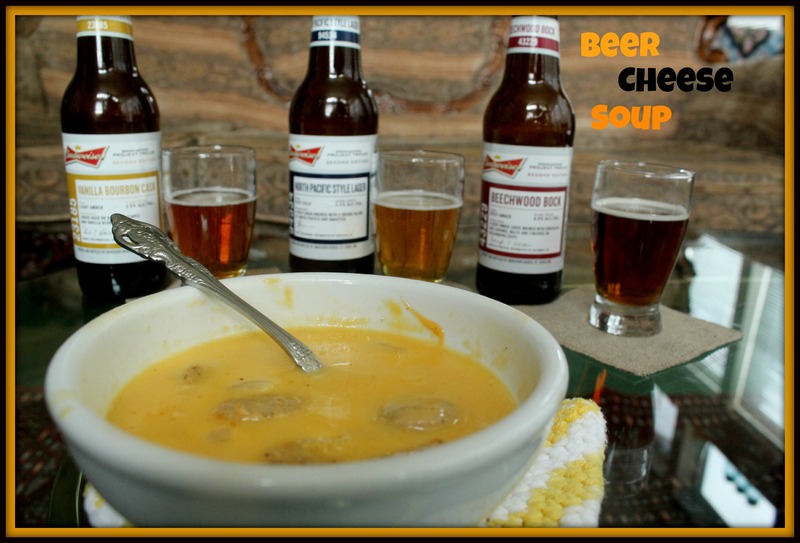 Beer Cheese Soup?! I think I need to try this. Sounds amazing. The North Pacific Lager was my favorite, so sounds perfect!